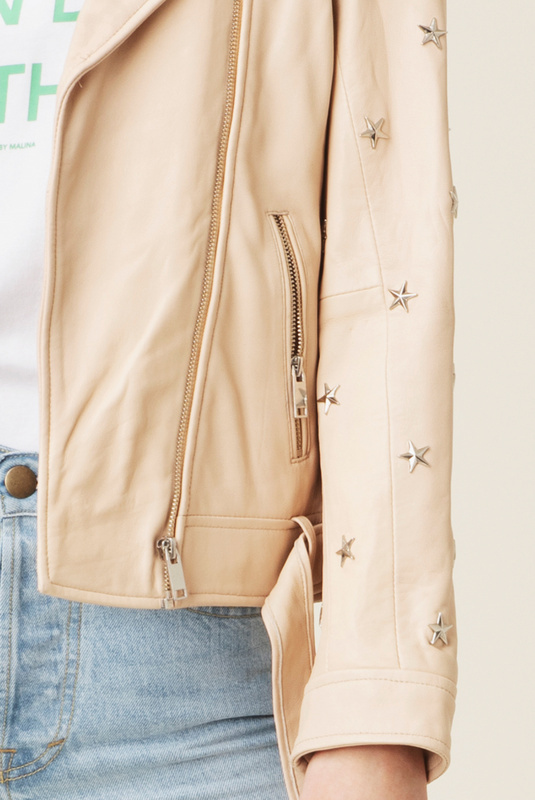 Star leather jacket is perfect for offsetting the label's more feminine pieces like a printed dress or skirt. This cropped style is detailed with silver stars on arms. It looks so cool with the buckled belt left hanging loosely.